Why Is That Country So ________? 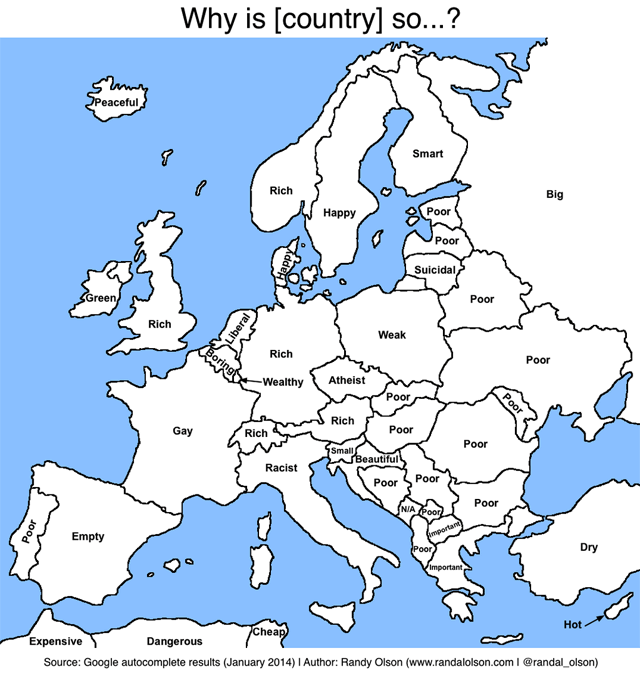 In the past we featured a map showing Google autocomplete results for the phrase "why is [state] so..." Thanks to computer scientist Randy Olson, we've got a European version. 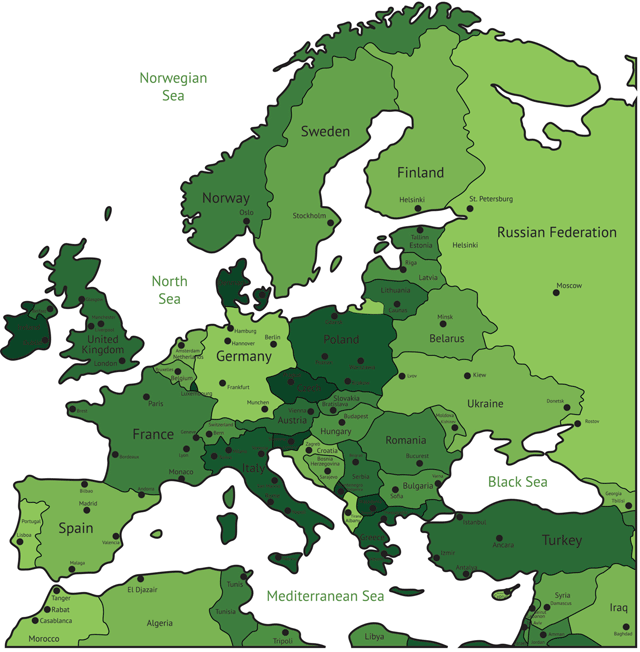 As Matthew O'Brien points out in The Atlantic, lots of people are Googling why post-communist Europe is still so poor. And more people are asking questions about turkey the food. Here's a map with the country names for reference. Why Is Your State So ________?